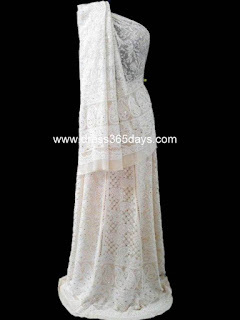 These Wedding Lehengas have huge flair round about 110-120 inches . 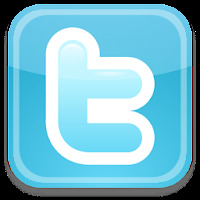 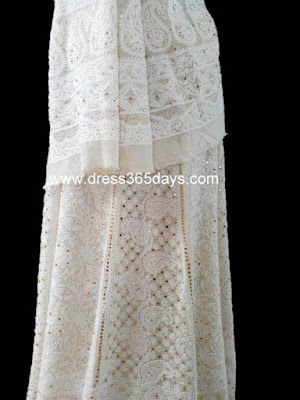 The fabric used is pure georgette (60gms) to get the hand embroidery right . 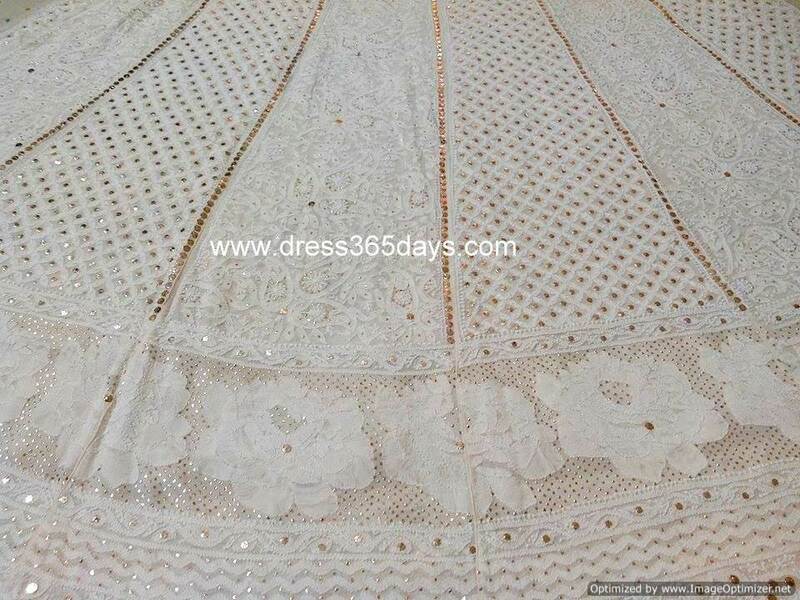 There are Motifs and paisleys on the border and have very dence and heavy chikankari embroidery. 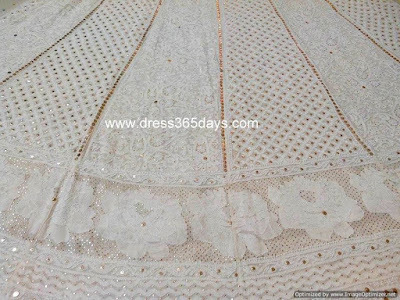 Many designers have used chikankari embroidery to embellish wedding queens and bollywood celebrities like Aishwarya Rai Bachchan, Priyanka Chopra, Alia Bhatt, Deepika Padukone and many celebrities all around the world. 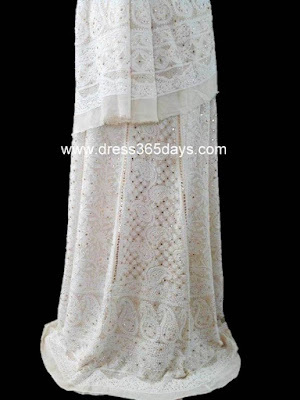 Pure Georgette Wedding lehengas are dyable . It comes with Blouse piece and Dupatta both have heavy chikankari embroidery. 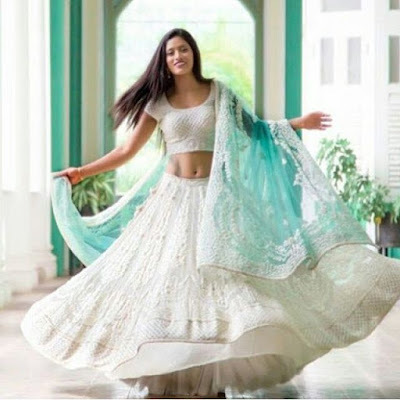 You can take a look on these lehengas.